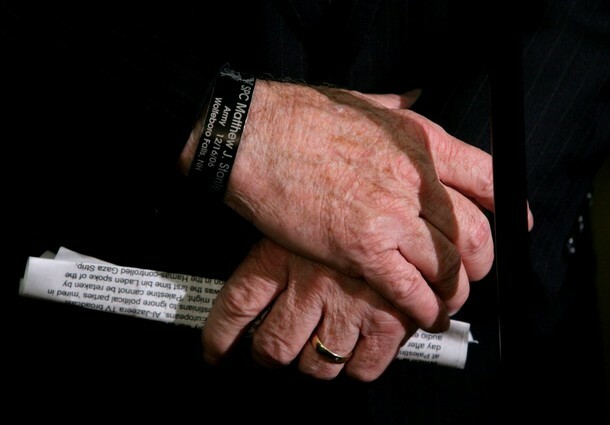 John McCain wears a bracelet. So does Barack Obama. And both of them signal something vital about how the public views various social and financial policies – people tend to sympathize with identifiable victims, those given a name and a story, even when that identification provides no real information about the victim’s situation or the policies affecting it. The Situationst has a timely post about a study that, while a few years old, definitely rings the bell of our current political situation. Here’s the abstract of the paper (the entire document can be downloaded here). We draw out implications of the identifiable victim effect – the greater sympathy shown toward identifiable than statistical victims – for public finance. We first review research showing (1) that people respond more strongly to identifiable than statistical victims even when identification provides absolutely no information about the victims, (2) that the identifiable victim effect is a special case of a more general tendency to react more strongly to identifiable others whether they evoke sympathy or other emotions, and (3) that identifiability influences behavior via the emotional reactions it evokes. Next, we discuss the normative status of the effect, noting that, contrary to the usual assumption that people overreact to identifiable victims, identifiability can shift people’s responses in a normatively desirable direction if people are otherwise insufficiently sympathetic toward statistical victims. Finally, we examine implications of the identifiable victim effect for public finance. We show that the identifiable victim effect can influence the popularity of different policies, for example, naturally favoring hidden taxes over those whose incidence is more easily assessed, since a hidden tax has no identifiable victims. Identifiable other effects also influence public discourse, with much of the debate about government spending and taxation being driven by vivid exemplars – iconic victims and perpetrators – rather than any rational calculation of costs and benefits.